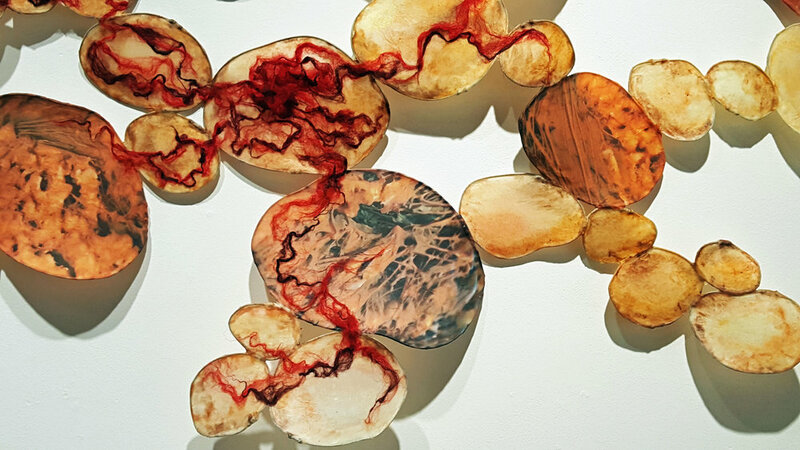 A group of recent works has been based on identifiably cellular forms – both flat and dimensional – created using my signature material of my own handmade paper, sometimes stretched over a wire armature, and sometimes cast onto molds. I am fascinated by both their visual presence and metaphoric potential; these cell-like discs and mounds often evoke a visceral reaction, and also function metaphorically to express and critique aspects of social interaction, political movements, and humanity’s relationship to the earth. Contagion is the first of this series exploring the concept of infection and its transmission: not only biological infections, but also infectious ideas and how humanity’s spread across the planet can be compared to the progression of a virus. 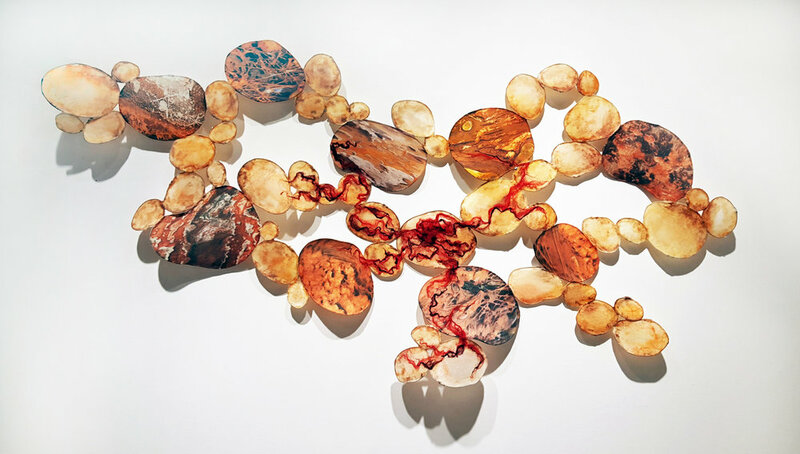 A large, wall-hung cluster of fairly flat cell-like wire and handmade paper forms are saturated with warm tones of pigmented beeswax to mimic a skin-like texture. Digitally-manipulated photographic transfers on silk of original images captured at Yellowstone National Park fill the surfaces of the largest ‘cells’. I chose close-up, abstract images of geological phenomena specifically for the way they spoke of tissue, cells, vessels, tendon, bone, or other biological references – their ambiguity and suggestion of both landscape and biology alludes to Gaia theory; how the earth itself can be viewed as a living organism. 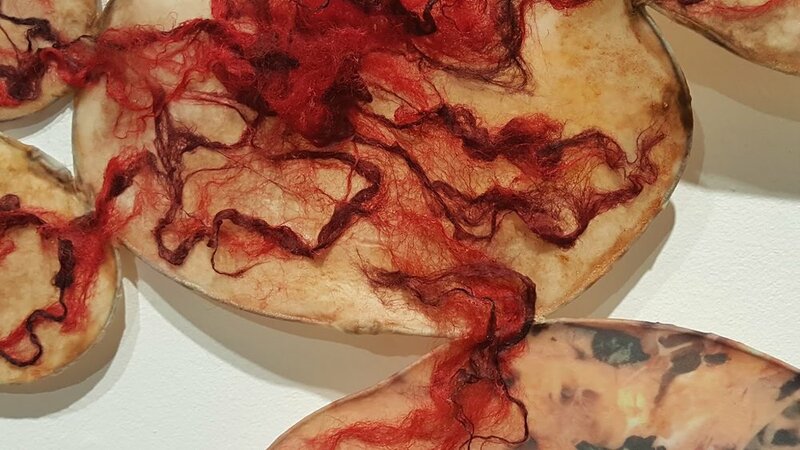 Finally, wool roving spreads throughout parts of the piece on the surfaces, beginning in one large mass, and crawling from cell to cell like a virus, or an idea whose time has come.